John S Lewis: Neither Fish nor Fowl; Neither Comet nor Asteroid? Neither Fish nor Fowl; Neither Comet nor Asteroid? The Hubble Space Telescope has presented us with telling images of a peculiar body that seems to share the attributes of an asteroid and a comet. It has been christened with the double name 300163 2006 VW139/288P, alias P/2006 VW139, acknowledging its asteroid-like and comet-like traits and declining to make a decision between the two categories. The first part of the name attests that the body was discovered as an asteroid in October 2006, but the recognition of its strange appearance and its ambiguous identity had to await the Hubble observations a year ago. The second part of its name identifies it as a body with cometary appearance (a tail) and a “periodic” orbit, meaning that it has a known orbital period. And what should we call it? The exceptional clunkiness of the name suggests nicknames such as “2006 VW”, which unfortunately conjures up a misleading (non-duplicitous) image. A “video” of the body, constructed out of a number of snapshots taken as it rotates, can be found at http://hubblesite.org/videos/news/release/2017-32. Form your own opinions (and suggest your own nicknames). So what do we see when we look at that video? Two bright, roughly equal-sized apparently solid bodies, just a few body diameters apart, trailing a bright “tail” of generally cometary appearance. The tail appears to be a dust stream rather than a gaseous tail, tempting us to speculate about the chain of events that produced this strange display. 1a and b. Collisional Fission. An asteroid in the Belt was recently clobbered by a glancing impact sufficiently violent to get it rotating fast enough to fission into two bodies in very close orbit about each other, perhaps even a contact binary. This happened so recently that the dust sprayed out by the impact has not had time to dissipate. Sounds improbable, but there are examples galore to whet our imagination. 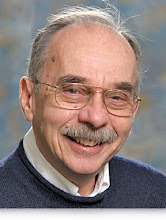 The Trojan asteroid 624 Hektor was studied in 1980 by a former student of mine, Stu Weidenschilling, and interpreted as a contact binary; a Wikipedia article on “Contact Binary: Asteroid” lists 13 strong candidates for the same distinction. At least two comets (67P/Churyumov-Gerasimenko and 8P/Tuttle) also appear to have the same structure. Such structures can arise either by (1a) the glancing collision of two large independently-orbiting bodies or by (1b) rotational fission of a single asteroid that was spun up to the point of splitting apart by a relatively small but sufficiently violent impact event. Since the encounter velocity of two asteroids in independent orbits around the Sun is typically several kilometers per second, the overwhelming majority of asteroid/asteroid collisions must result in explosive disruption rather than capture into closed orbits. Low-velocity encounters must be rare; but contact (or near-contact) binaries ARE rare. The dust-generating activity can then be attributed to the collision event, which must have been fairly recent; otherwise, the dust would have been swept up by the bodies or blown away by solar radiation pressure. Oh, we also know from independent evidence that 2006 VWs may survive low-velocity collisions. 2. It is just a comet whose gas emission is undetectably small, but sufficient to maintain a dust cloud, according to H. H. Hsieh and 41 other coauthors, Discovery of main-belt comet P/2006 VW139 by Pan-STARRS1, Astrophysical Journal Letters, 748 (1). (L15) 1-7 (2012). They interpret observations by the Pan-STARRS1 survey telescope as showing a striking similarity to the main-belt cometary object 133P/Elst-Pizarro, which has a rather similar orbit. Both may be outliers of the Themis family of main-belt asteroids. They argue that the stable maintenance of the dust cloud is indicative of cometary outgassing, most likely of water vapor, but they are also unable to detect any gaseous molecular emissions spectroscopically. If I had to bet on the strength of present evidence, I’d have to prefer the latter explanation. The implication of a very high water content in some Belt asteroids is worth remembering—especially if you are a water-based spacefarer.